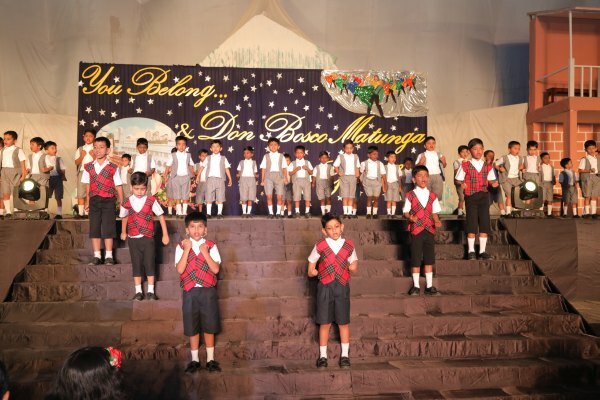 Mumbai, February 10: Don Bosco High School, Matunga celebrated their Annual Thanksgiving on the 8th and 9th of February, in gratitude for the numerous achievements and accolades won after the Platinum Jubilee year. The members of the management, including the Rector, Rev. Fr. Crispino DSouza, Principal, Rev. Fr. Bernard Fernandes, Vice Principal and Administrator, Rev. Fr. Roy Noronha, the coordinator, Mr. C. Rai, the A.H.M, Mr. CliffRichard D Souza, Supervisors and Head Teachers were felicitated for their unwavering confidence and unstinting encouragement that has led the school to raise the bar each year. Meritorious and deserving students were also commended with awards and scholarships on day one of the celebration. On day two, our retired staff, Supervisor for classes V and VI, Mrs. Barbara Fernandes and the I.T. in-charge, Mr. Nelson D Souza were felicitated for their dedication and commitment to the cause of education. Our jubilarians, Supervisor for classes VII and VIII, Mrs. Christina Mascarenhas and Kindergarten teacher Mrs. Blanche D’Souza were felicitated for their silver years of service. Our peons, Mr. G. Joseph and Mr. Ramesh Parmar were also commended for their successful innings in service at Matunga. 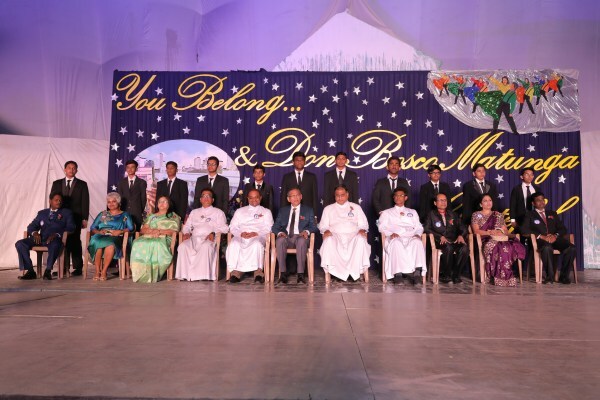 There was a tribute to the late Rector Fr. Jude D’Mello who expired in July 2018. The chief guest, Mr. Paul Machado, Principal, Campion school, iterated the shared responsibility parents and teachers have in the all-round growth and development of the child. “School is your second home, it is often said, but home is also your second school,” he shared. On the occasion, our guest of honour, Rev. Fr. Binu Jacob, Rector of Don Bosco Nepal, was presented a cheque of Rs.6 lakhs as our mite from the outreach Christmas Panorama proceeds. 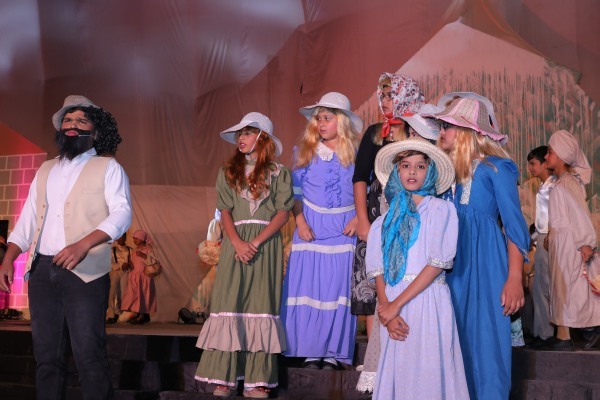 The enchanting musical staged this year, ‘Seven Brides For Seven Brothers’- its Hindi version being the famed ‘Satte Pe Satta’, told the tale of seven backwoodsmen, the Pontipee brothers. Uncouth and brash at the outset, they grow into “refined men with a refreshing outlook” after the eldest brother Adam brings home his bride, Millie. The Principal, Rev. Fr. Bernard, quoted Nobel Peace Prize Winner, former U.S. Vice President and environmental activist Al Gore in praise of Pope Francis, as being “one of the strongest voices in the world calling for environment protection.” Fr. Bernard called each of us too, to belong, to grow, and to take collective responsibility.